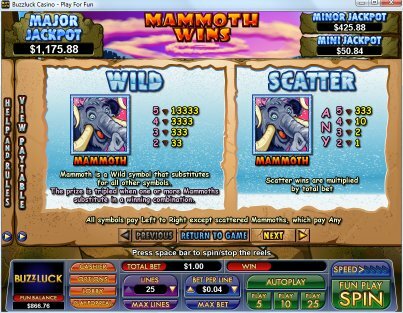 Overview: Take some giant steps back into the Ice Age and experience Nuworks Gaming's cool new slot, Mammoth Wins! 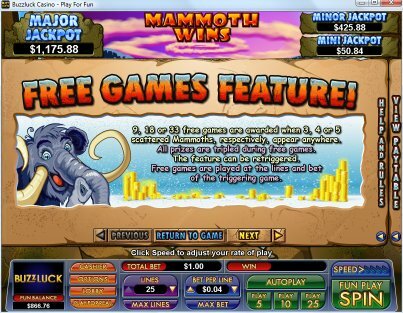 The Mammoth symbol acts as both the Wild and the Scatter, and all prizes are tripled during free games, leaving you with plenty of opportunity at some Mammoth Wins! 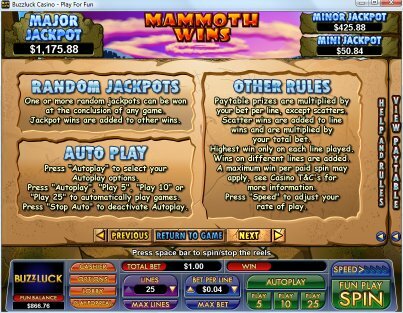 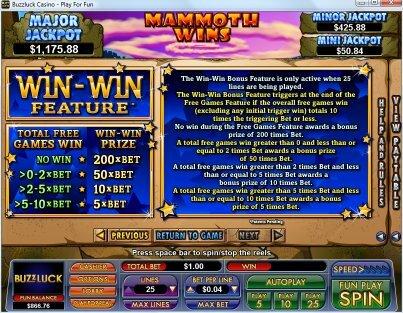 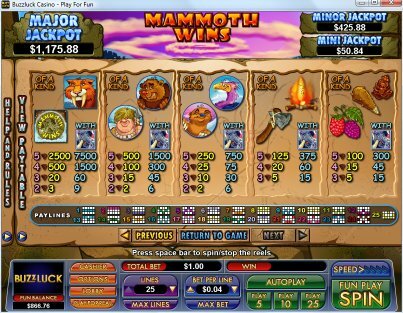 With a top 5 of kind prize of 13333 times the line bet, Mammoth Wins will tower over other games! 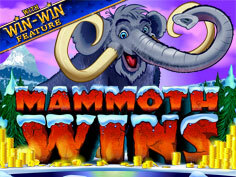 This game also offers the unique Win-Win feature, which ensures that even the smallest feature wins will be transformed into a prize worthy of a prehistoric giant. 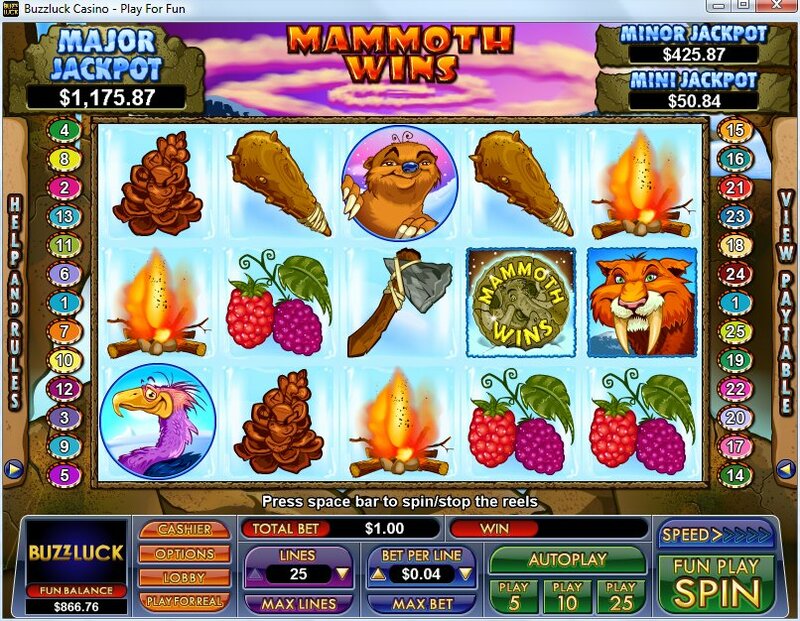 Similar Slots: If you like Mammoth Wins, you might like these other slot machines from NuWorks: Big Rig, Carnival Cash, Eye of Ra, Stone Age Cash, Win Big!, Winning Shot.